Former New England Patriots star Aaron Hernandez has committed suicide in prison, just days after being acquitted of murdering two strangers. Hernandez was found hanging in his single cell by correction officers at the Souza Baranowski Correctional Center in Massachusetts at approximately 3:05am, US officials said, the Boston Herald reported. At the time of his death, Hernandez was also appealing a life sentence for the murder of his friend Odin Lloyd, of which he was convicted in 2015. Department of Correction spokesman Christopher M. Fallon said Hernandez hanged himself by “utilizing a bed sheet that he attached to his cell window,” the Boston Herald reported. "Mr. Hernandez also attempted to block his door from the inside by jamming the door with various items," Fallon added. Lifesaving techniques were performed on Hernandez and he was taken to UMASS Leominster hospital where he was pronounced dead at 04:07 local time. Hernandez, had been acquitted of the 2012 double murder of Daniel de Abreu, 29, and Safiro Furtado, 28, in Boston, charges on Friday. 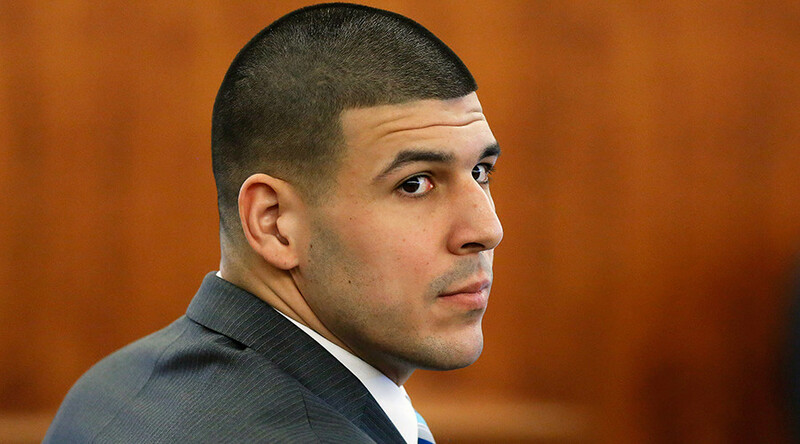 Prosecutors alledged the 6 ft 2in Hernandez followed the pair and opened fire on their stationary car after a confrontation that arose from when the two bumped into Hernandez at the Cure Lounge nightclub caused Hernandez to spill his drink. Hernandez, 27, played tight end for the Patriots for three seasons after being drafted as the 15th pick of the fourth round of the 2010 NFL draft. He won the John Mackey Award in 2009, an award given to the most outstanding tight end in college football, while at the University of Florida.